Draw your own Halloween cards and make your own Halloween decorations. One of the special parts of halloween is carving the pumpkin. In this drawing lesson you can follow along to draw a pumkin. You can make the face look any way you like or you can just follow along. 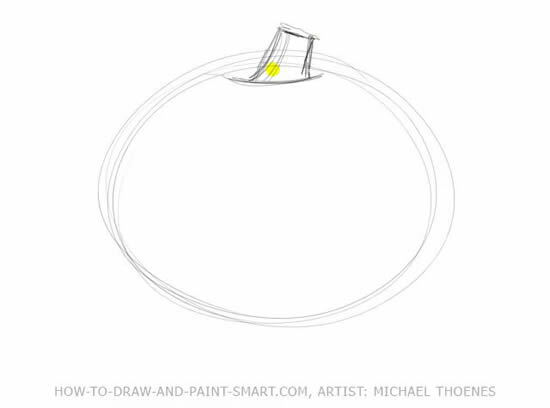 This lesson has a video and it also has step by step drawings. 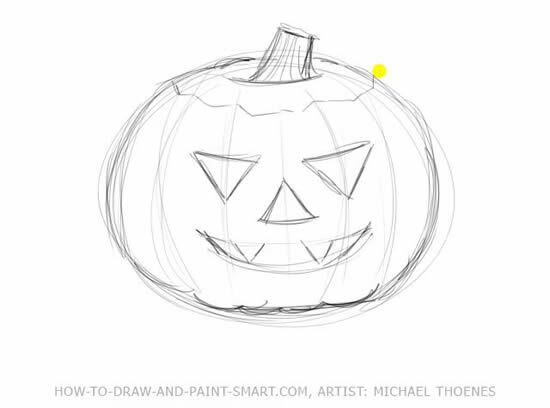 Now let's get started with the "How to Draw Halloween Pumpkins"
Draw a circular shape for your pumpkin and add the Stem. Pumpkins are generally round, but they come in many variations of round. Some oare sqyuatty, some are tall some are lopsided and some are very round. Add teh cut line where a pumpkin would be opened for carving and drw the cut marks for the pumpkin face carving. Shade the cut outs of the eyes and mouth on your pumpkin. 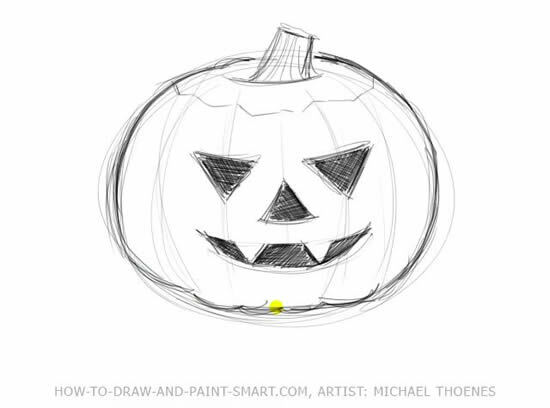 Strenghten and refine your pumpkin's outline. Add some shading to help define the pumpkins roundness and the bumps. Continue to strengthen and refine your lines. 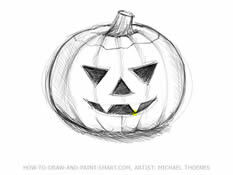 Complete your Halloween Pumpkins by layering more shading and refining the edges. 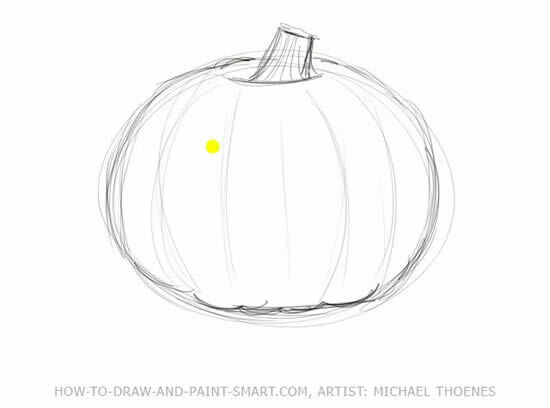 "How to Draw a Halloween Pumpkin!"